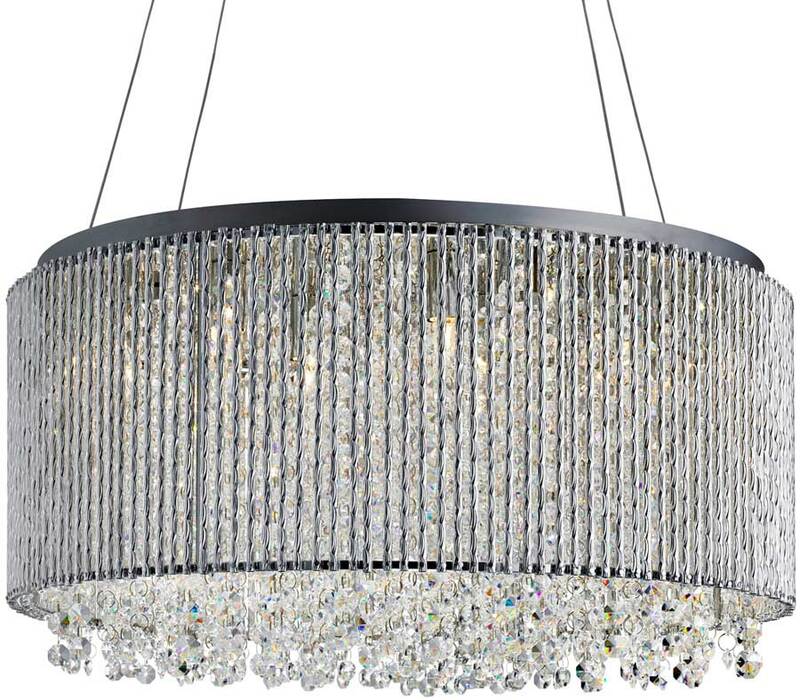 This Beatrix 8 light polished chrome drum ceiling pendant with crystal drops is contemporary, bright and attractive. 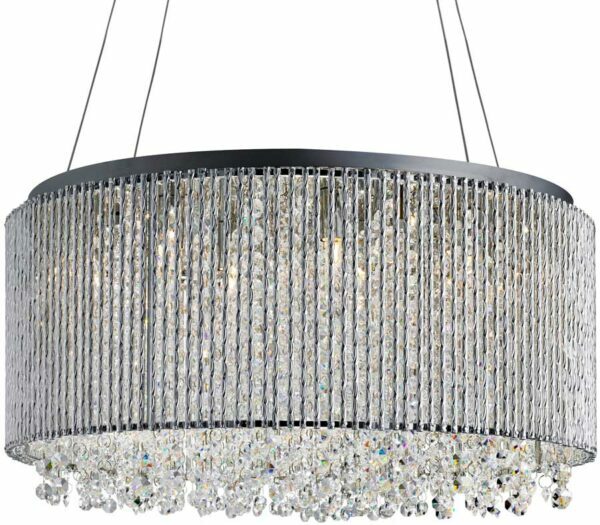 Featuring a circular shade constructed from twirl aluminium tubes and filled with masses of high quality sparkling strung crystal buttons. Slender wire suspension and a matching circular ceiling mount completes the elegant styling. 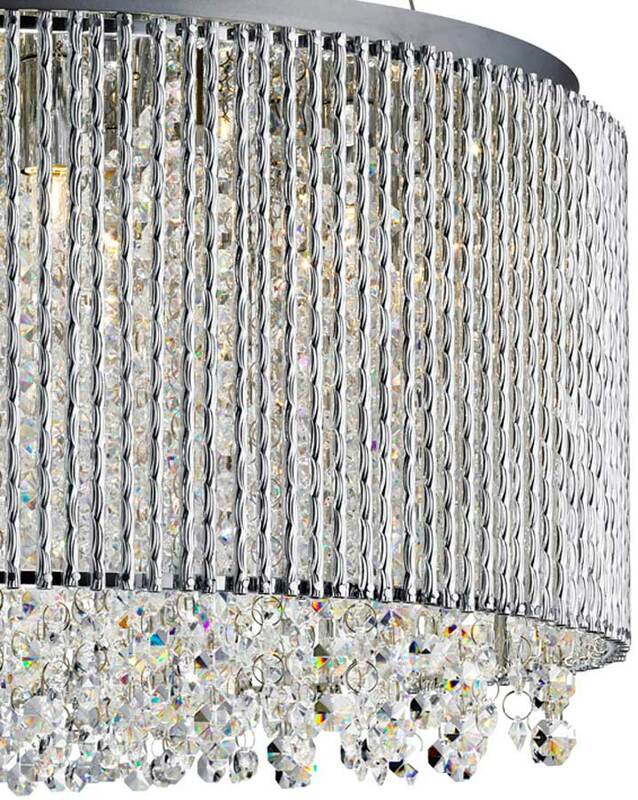 The large circular drum has aluminium tubes in straight lines around the outside and the centre is adorned with clear crystal button drops, which sparkle beautifully when the lights turn on. The wire suspension can be adjusted for different ceiling heights. A great choice for the entrance hall, dining room or larger living room. Other products in the decorative Beatrix polished chrome lighting range can be viewed below and include three flush mount ceiling lights. Please follow this link to view or download the installation instructions. This contemporary light is supplied by Searchlight who manufacture some of the best traditional and modern classic designs such as the Beatrix 8 light polished chrome drum ceiling pendant with crystal drops you see here.